It is very simple. A mobile concrete mixer offers you to option to 'own' your personal concrete batch plant. When compared to traditional drum mixing, this type of solution sometimes can be the best cost-effective solution and time-saving equipment. If your concrete work is just a couple of cubic meters a week or a day, then this can be the right equipment for you to have. Instead of worrying about moving parts, equipment, conveying equipment, front-end loaders, and some other equipment, this solution brings everything under one single truck. Sometimes, instead of owning this equipment, you can even rent it out, and it will be delivered to your job site, and you will have control of your concrete delivery and timing. Multiple jobs can be worked without the needs of sending the equipment back to the batch plant. You will mix what you are going to pour only. Ideal for a remote location or when the batch plant cannot be installed at the job site. Reduce the amount of concrete waste and minimize shortages by mixing the amount you need. Concrete is always fresh, and you will not need to worry about concrete being too hot or over mixed. 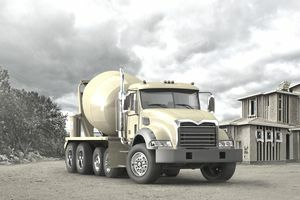 These trucks are available in different sizes depending on how much concrete you will need. Concrete mixers will be available at your convenience anytime/ any date, like having your concrete ready 24/7. Volumetric mixers can be rented, or you can even have your own. Some volumetric mixers and depending on the capacity and feature can start at $30,000, and prices will go up depending on the capacity, pumping rate and features added to the equipment. In addition to that, this type of equipment when compared to traditional batch plants will produce additional savings. If we compare the manpower required for a traditional plant, assuming there is 1 driver, 1 QA/QC, and 1 plant dispatcher, we can determine that by having 1 single employee driving and operating the mobile mixer is way cheaper than those 3 workers at the plant. Hydrovac Excavation: What Is It and Where Can It Be Used?